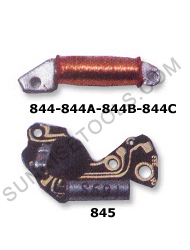 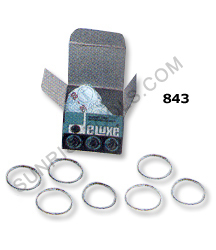 Description :-With the help of these spring bars watchmakers can easily complete a watch band repair or replacement. 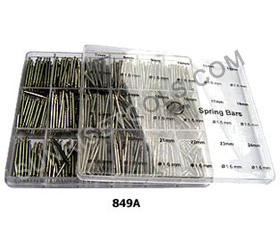 Also these spring bars allow you to easily replace watch band clasps in watch bands. 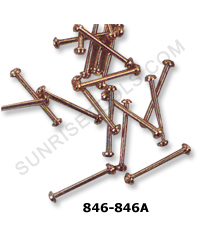 Made from durable material for long lasting of product. 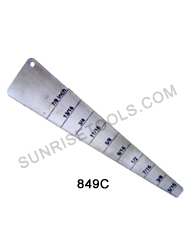 Description :- To change spring bars, use this tool with tempered tips which are interchangeable with the famous Swiss model, but at less cost. 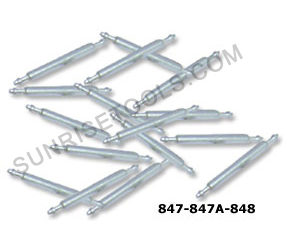 Description :- This assortment contains a mixture of different, types, thickness, and sizes which will allow you to get started replacing spring bars right away without making a big investment. 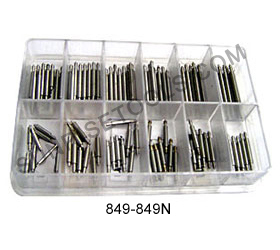 849A Spring bars, Assortment 7mm to 24mm in Plastic Box 450 Pcs. 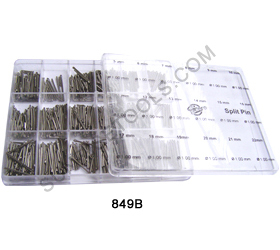 849B Split Pins, Assortment 5mm to 22mm in Plastic Box 450 Pcs.